It’s that time of the year again, when Christmas songs blare from car speakers, red and green adorns shop windows and wrapping paper litters living room floors. Trees find their place in corners of houses, dropping hundreds of needles to vacuum from the carpet and candy canes replace Dum-Dums and Tootsie-Pops, while strangers stand outside houses and sing songs in candlelight. In the United States, these practices have become Christmas traditions, but they weren’t always symbols of the holiday. Each has their own origin and journey to fame, contributing to the holiday we know today. No one knows for sure which homes across the globe they originally came from, but many speculate Christmas trees have roots in Northern Europe, as far back as 1000 years ago. The first documented use of a tree for Christmas celebrations was 1510 in Riga, the capital city of Latvia. In the town square, a plaque tells of the first New Year’s tree in eight languages. Interestingly, the first person to bring a Christmas tree into a house was likely the famous 16th century preacher Martin Luther. And though Martin Luther probably didn’t do this, early trees were said to have been hung upside down from chandeliers and hooks in Europe. From there, various cultures have adopted their own tree traditions. For instance, Pagans used branches from evergreens around their houses during the winter solstice to keep the thought of spring in their minds. 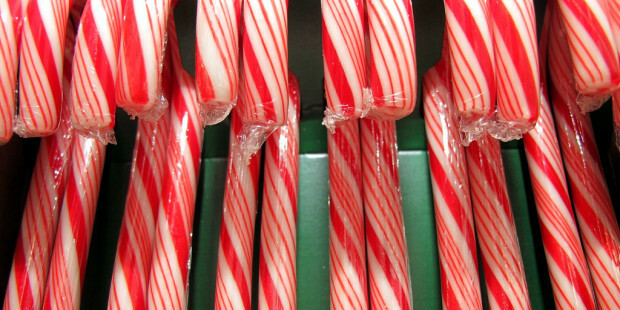 The popular, but likely untrue story of the origin of the candy cane is the story of the choirmaster who gave children at a nativity service ‘J’ shaped white candy sticks to keep them quiet. However, this story has no solid evidence to back it. The widely accepted, though not nearly as interesting version is their creation in Germany 250 years ago, starting as straight white sugar sticks. They eventually evolved into shepherd’s crooks, and the red stripes were added in 1900, bringing with them peppermint and wintergreen flavoring. Christians claim the “J” shape stands for Jesus, or the shepherds that visited him when he was baby. 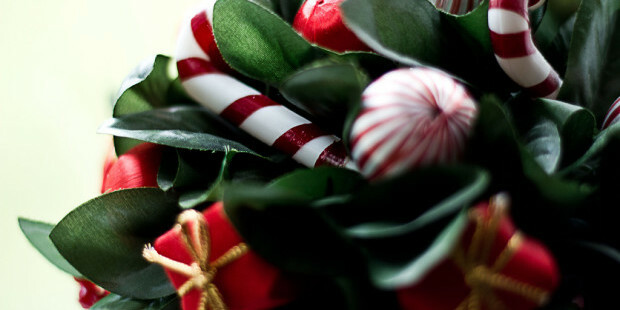 Candy canes emerged in the U.S. in the 20’s when Bob’s Candies made them the hot commodity of the holiday season. Bob’s brother-in-law, who was a Catholic priest, invented the Keller Machine, which automatically curved the candies into their J shapes. Believe it or not, Europeans take the cookies on this one too. Thousands of years ago, Pagans sang songs at the Winter Solstice around stone circles, which were far from the songs we sing today. Christians later stole the idea and gave people Christian songs to sing for Christmas. Comas of Jerusalem wrote a hymn for the Greek Orthodox Church in 760 AD, which later inspired several European composers to come up with their own songs. However, most were written and sung in Latin, which the common people couldn’t understand, and by the Middle Ages, most people had lost interest in the practice. Carols made a comeback in 1223 in Italy when St. Francis of Assisi’s Nativity Plays featured songs that people could understand. From there, carols spread to France, Spain and Germany, until they were squashed by the Puritans in power in England in the 1650s. People still sung them in secret, but carols didn’t completely reemerge until Victorian times when two men collected old Christmas music from villages in England to create a widespread collection. 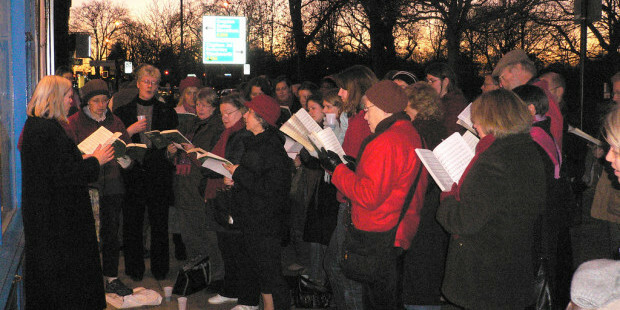 Today, Carols by Candlelight are the most popular kind of caroling. 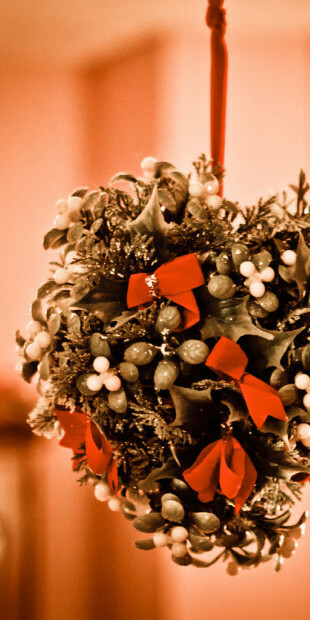 Would you be kissing someone underneath the mistletoe if you knew that the word roughly translates to “poo stick”? Mistletoe is derived from Anglo Saxon language, “mistel” meaning dung and “tan” or “toe” meaning stick. And though this may seem disgusting, the word makes sense. Mistletoe is actually a parasite that attaches itself and grows out of tree branches, typically spread through bird poop. Druids began the tradition of hanging mistletoe in houses during the Medieval period because they believed it had mystical powers that brought good luck and kept evil spirits away. Norse mythology added to mistletoe’s appeal, using it as a symbol of love and friendship. England is credited for the traditional kiss under the mistletoe. A berry had to be picked from the mistletoe before a person could be kissed, and people could only kiss if there were still berries on the sprig. Boxing Day began over 800 years ago in the UK, celebrated on December 26. This was the day when collection boxes in churches were opened and money was distributed to the poor. There is some speculation that churches in the UK got the idea for collection boxes from the Romans, who used their boxes to collect money for betting games in the winter. It was also a tradition for servants to celebrate Christmas with their families on the 26th, and before World War II, workers that had delivering services like milkmen picked up their Christmas box or tip on Boxing Day. The holiday is nationally recognized in the UK, Canada, Australia and New Zealand. What holiday history do you enjoy?